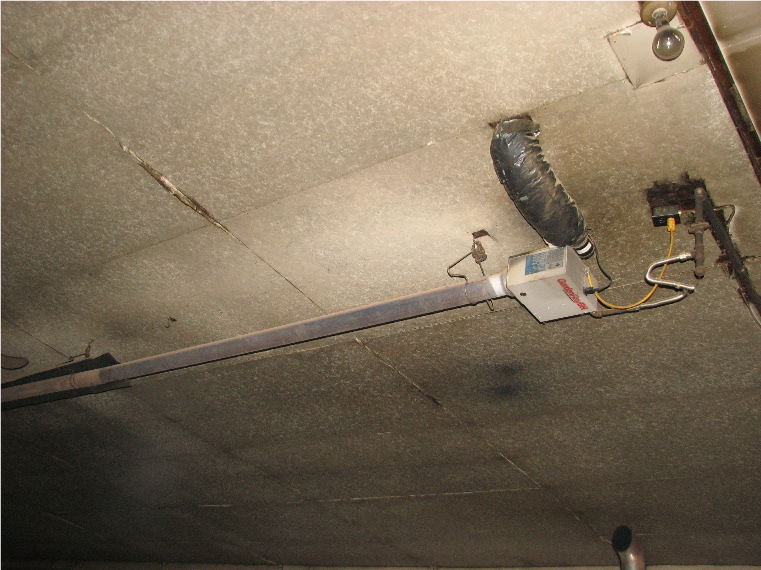 Why should you install to the manufacturers instructions? A quick view of this radiant heater might not look like anything is amiss. In this case I noticed the missing heat shield. Knowing the critical importance of this shield to diflect the heat away from the ceiling I decided it would be a good idea to check with the Thermal camera. 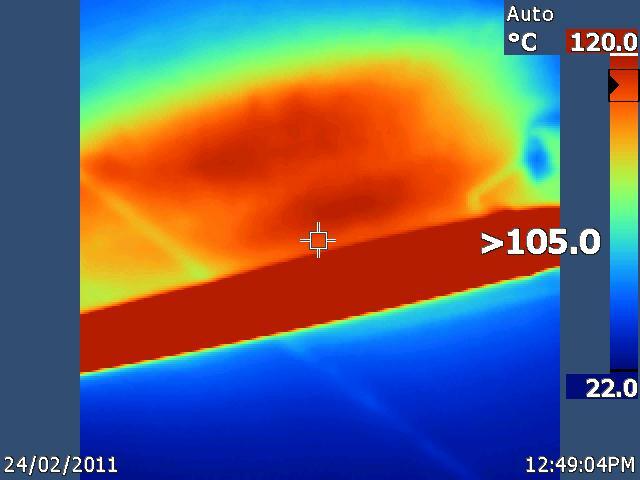 The thermal image shows the ceiling is over 100 degrees celcius. This is a fire waiting to happen.